Look and feel absolutely fabulous in a pair of Not Your Daughter's Sarah Classic Bootcut Jeans in Premium Lightweight Denim. 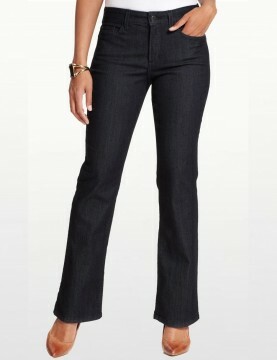 Dark Wash in a summer weight denim, they are slimming and flattering. 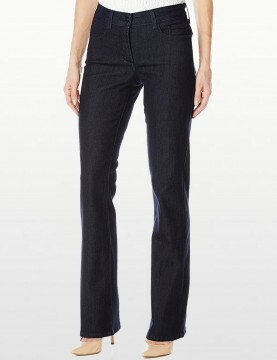 NYDJ Black Sarah Classic Bootcut Jeans in super soft denim. 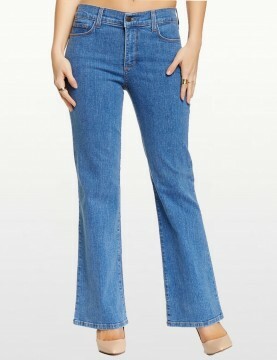 These jeans are cut straight through the hips and thighs with a boot cut opening of 20". 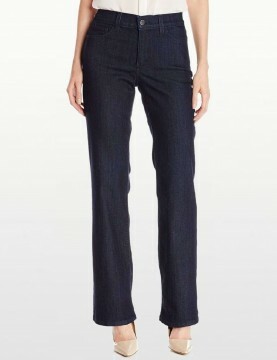 Five-pocket styling, button closure, plain pockets and NYDJ's signature slimming fit. 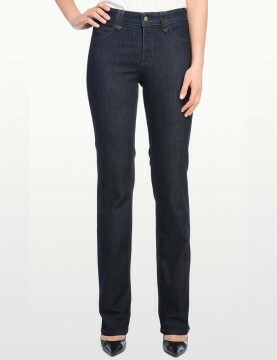 Look and feel absolutely fabulous in a pair of NYDJ Barbara Modern Bootcut Jeans with the updated leg opening of 18 Inches.Five-pocket styling, button closure, plain pockets and NYDJ's signature slimming fit.